Posted byadmin	 January 16, 2019 Leave a comment on Do You Know Why You Should Get Your Yacht Detailed Regularly? Do you know why you should have your yacht detailed on a regular basis? If not, this content will answer that question, because there are multiple reasons why you should do it. First off, though, it helps to know what detailing actually is. Many yacht owners might have heard the term but don’t quite know exactly what it is. It’s sometimes used interchangeably for washing something, but that’s not accurate, as they’re not synonyms. Detailing is a meticulous process where someone goes through your yacht step by step, doing a thorough cleaning and then reconditioning of both the exterior and interior of your yacht. The primary purpose behind doing all of this is to restore the beauty and aesthetics of your yacht. It also helps you to preserve the value of your investment. 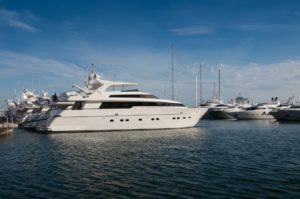 In terms of the exterior, the primary thing you’re looking for is giving your yacht protection from the elements. Even when just docked at a marina, your yacht still sits in the water and is exposed to saltwater and UV rays on a daily basis. The saltwater is still there at night, and even weather in the dark can wear down a hull and deck over time. Detailing happens inside too, as signs of poor condition or age inside the yacht are addressed, from cleaning to crevices and cracks. This makes the yacht a nicer place to be, and also much easier to sell if you ever choose to do so. There are no set industry guidelines in terms of what must happen in the detailing process, so if you choose to contract the services out, you’ll find a variety of sets of work as well as the accompanying prices. Of course, detailing is also something you can make a DIY project if you so choose to do.